Paul Gader received his Ph.D. in Mathematics for parallel image processing and applied mathematics research in 1986 from the University of Florida. He worked as a Senior Research Scientist at Honeywell�s Systems and Research Center, as a Research Engineer and Manager at the Environmental Research Institute of Michigan (ERIM), and as a faculty member at the University of Wisconsin - Oshkosh, and the University of Missouri - Columbia. He also spent two summers performing research in the Image Processing Research Lab of Eglin Air Force Base and one summer as a visiting faculty fellow at the University of Minnesota Institute for Mathematics and Its Applications program on Signal Processing. Recently, he spent five months as a visiting professor at the Grenoble Institute of Technology, in Grenoble, France. He joined the faculty of the University of Florida Computer and Information Sciences end Engineering in August 2001 and is currently a Professor and the Interim Chair of the department. He performed his first research in image processing in 1984 when he worked on algorithms for detection of bridges in Forward Looking Infra-Red (FLIR) imagery. At ERIM and later at the University of Missouri, he led teams involved in the research and development of real-time, handwritten address recognition systems for the U.S. Postal Service. He developed, implemented, and tested image processing, neural network, and fuzzy set based algorithms for handwritten digit recognition and segmentation, numeric field recognition, word recognition and segmentation, and line segmentation. 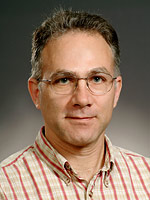 He has also worked on a number of other image and signal analysis projects, including medical imaging, vehicle detection and recognition, acoustic signature analysis, and bio-medical pattern recognition as well as performing fundamental research in image algebra, fuzzy set theory, and and Choquet integral based mathematical morphology. He has actively researched and developed algorithms for land mine research since 1996. He led teams that devised and field tested several real-time algorithms for mine detection. He served as Technical Director of the University of Missouri MURI on Humanitarian Demining for two years. Past and present landmine detection projects involve algorithm development for data generated from hand-held, ground vehicle-based, and airborne sensors, including ground penetrating radar, acoustic/seismic, IR (emissive and reflective bands), hyperspectral images in the long-wave, short-wave, near IR, visible, and ultra-violet bands, and wide-band electro-magnetic induction. His group, together with his long-time colleagues Professor Dominic Ho of the University of Missouri and Professor Hichem Frigui of the University of Louisville, have devised algorithms that have been implemented in operational explosive object detection systems. He is currently researching nonlinear unmixing for hyperspectral image analysis with applications to object and material detection, classification and segmentation, and measuring physical properties such as plant and animal health as well as biomass and clorophyll. In addition, he is studying agent-based systems for anticipatory analysis of human behavior. Dr. Gader is a Fellow of the IEEE and has about 300 technical publications, including over 80 refereed journal publications, in the areas of image and signal processing, applied mathematics, and pattern recognition/machine learning.